It is China month here at Bioassociate, and in our previous post we covered the new initiatives filed in the latest set of 5-year plans aimed at making China a competitor in the originator pharma space. Without a doubt, Chinese Pharma will be steadily rising to prominence over the next decade, but currently the country's pharmaceutical industry, in particular the domestic innovative medicine landscape, is highly fragmented and in need of a kick-start. 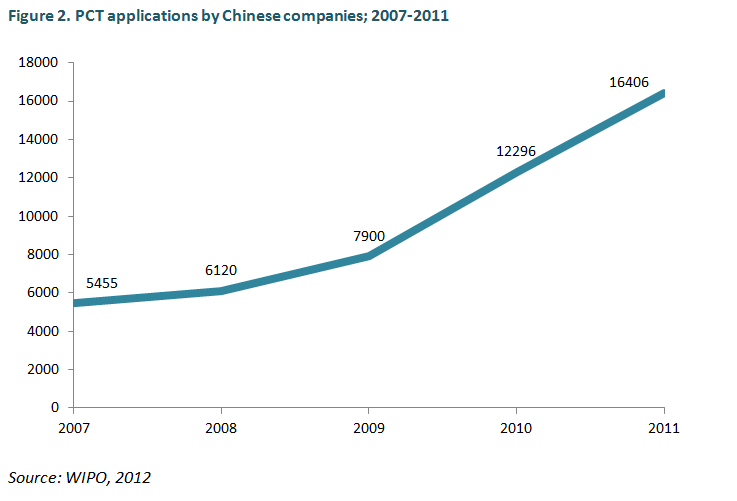 Despite all that, China already boasts some degree of innovative output across many industries. Patent applications by Chinese industry and academia have achieved a staggering 33% growth in recent years—faster than any other country—and innovative pharmaceutical patent filings are also on a steady average 13% annual increase. At the moment, pharmaceutical companies performing R&D in China are still rare, and the majority focuses on traditional medicines. The government is anticipating the construction of up to 100 intensive research incubators across the country, including a 25,000 m2 world-class lab in Guangzhou, and is pledging dedicated support to developers of prescription drugs. For the time being, however, the pharmaceutical arena in China can be described as a young industry poised for a leap forward. Pharma MNCs with Chinese bases are expected to lead the way in R&D at present, and, since a go-ahead from the government, R&D partnerships with local companies are on the increase, particularly because, due to government restrictions, partnerships and M&As have become an easier entry route for foreign pharma. By 2016, it is estimated that 80% of all MNCs will be engaged in R&D activities in China, paving the way for healthy industry growth. 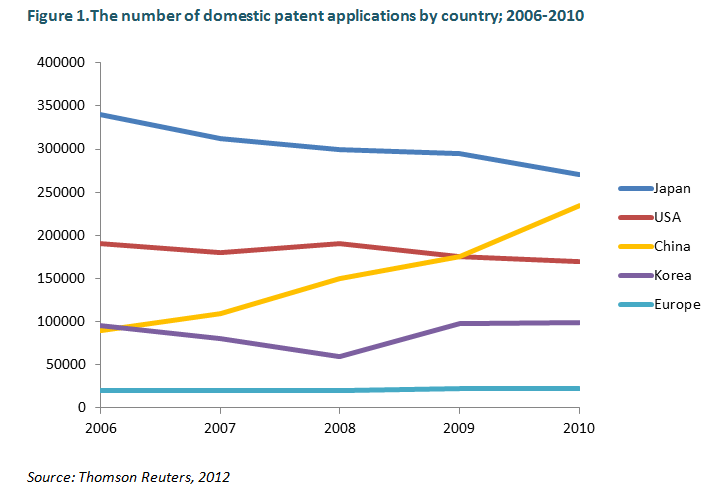 Much in contrast with global IP trends, domestic patent applications in China have shot up in recent years (fig. 1), dominated by electrical machinery, digital communication, computer technologies and pharma in 2010. 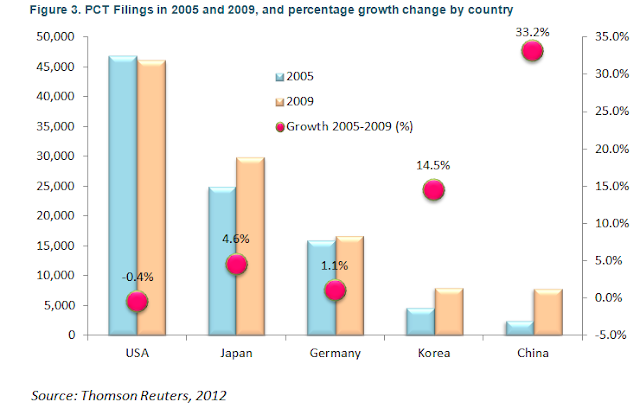 China’s drive to generate value through intellectual property has been difficult to miss: PCT filings by Chinese companies have been on a drastic increase in recent years (fig. 2) and have significantly superseded top filing countries in terms of growth rate (fig. 3). In terms of domestic pharmaceutical patent applications, traditional medicines still dominate the field, but are threatened to be overtaken by non-traditional (innovative) medicines (fig. 4). 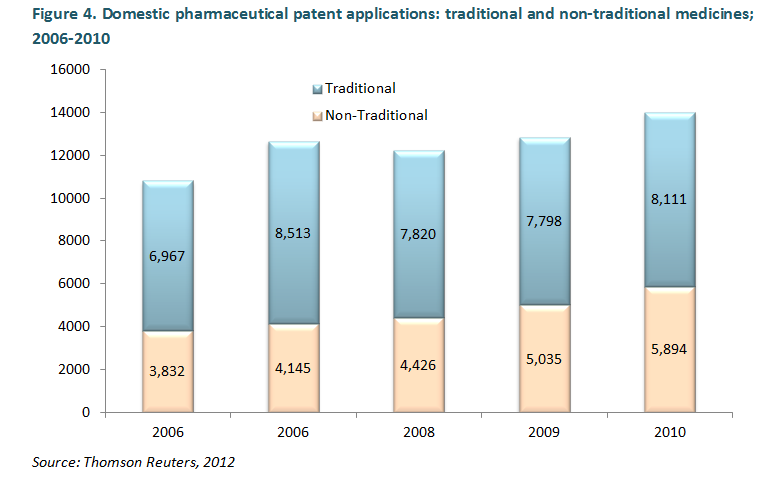 In general, pharma applications have exhibited an increase of nearly 13% in the last four years. The majority of Chinese pharma patent applications originate in academia—a clear sign of an impending improvement in the availability of intellectual capital. 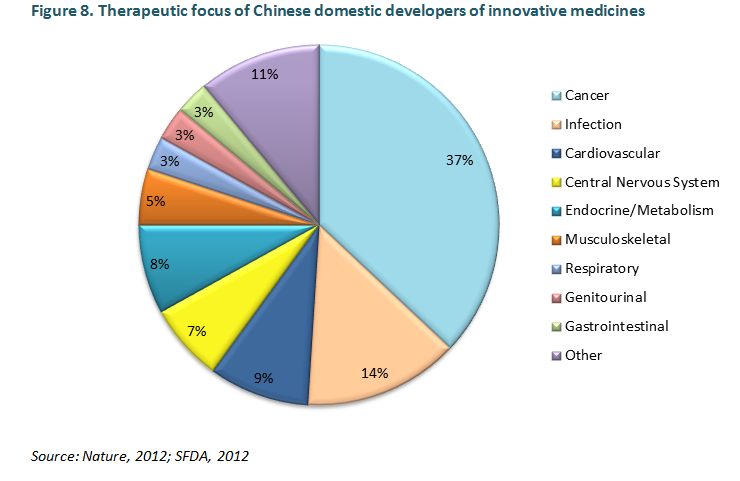 Chinese companies developing drugs are few and far between at present. 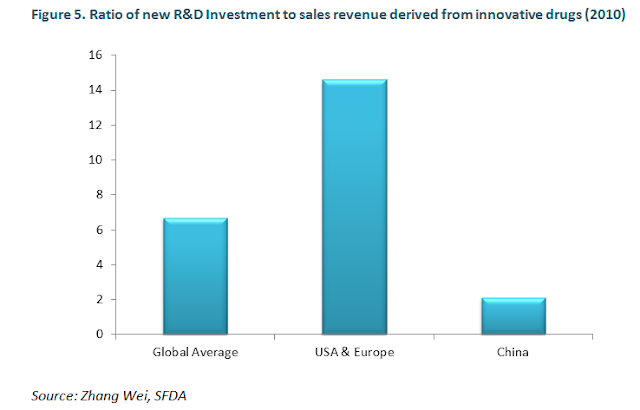 Although pharmaceutical exports average at US$ 67 billion annually, virtually none of the revenue is derived from innovative products, and the proportion of R&D investment to sales revenue is poor in China on a global scale, let alone in comparison with the US and the EU (Fig. 5). The volume of drugs in pre-marketing stages is more substantial, although the drug pipeline is still being viewed with beginners’ caution by domestic players. In terms of domestic drug registration volumes, the SFDA has been registering roughly 25 INDs and 3 NDAs a year (with virtually no NDAs in the last three years), versus an average of 35 yearly NDAs in the US (fig. 6). 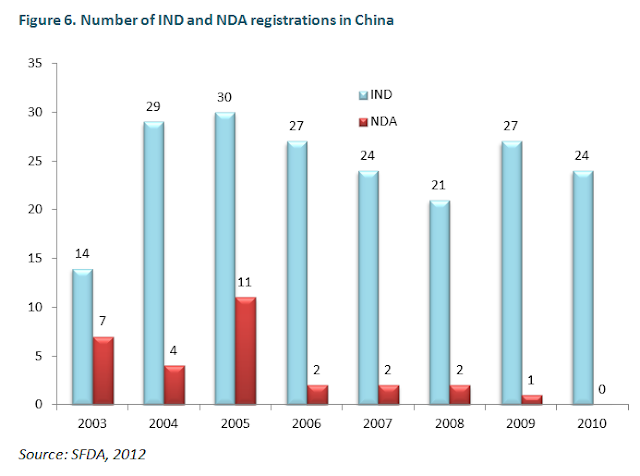 The ratio of IND (clinical trials) to NDA (permission to market) registrations is more substantial in China than in developed pharma markets of the US and the EU, which is en par with the early stages of development of the industry. Furthermore, the SFDA introduced crucial additions to pharmaceutical regulations in 2007, which caused a drop in the number of registered drugs. Interestingly, in terms of therapeutic focus, the second most popular therapeutic target for Chinese pharma is infectious disease (fig. 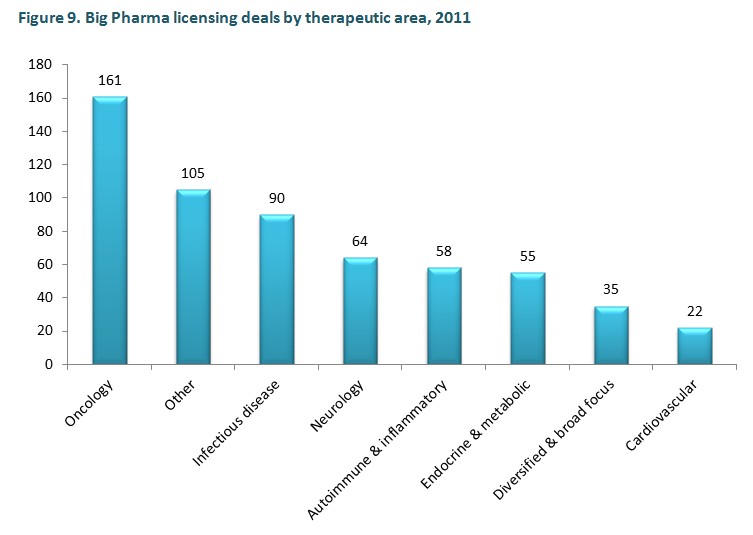 8), which has for some time slipped down the priority rankings of Western Pharma (fig. 9), but is making a comeback in light of growing antibiotic resistance around the world, and the growing importance of pharmerging markets. Chronic diseases, such as cancer, diabetes, and respiratory and cardiovascular disorders top the prevailing diseases list in China. For the most part, companies in search of the next blockbuster focus predominantly on this disease segment. Over 260 million Chinese are estimated to suffer from choric ailments—which claim 85% of all deaths in the country, and this number is predicted to triple by 2030. Hepatitis, tuberculosis and AIDS prevalence are also on a dramatic increase, prompting local players and multinationals to enrich their pipelines with infectious disease targets. The neurodegeneration and neuropsychiatric drug arena is predicted to be an attractive area of exploration, as CNS disorders were medically recognized as diseases in China only 7-8 years ago. 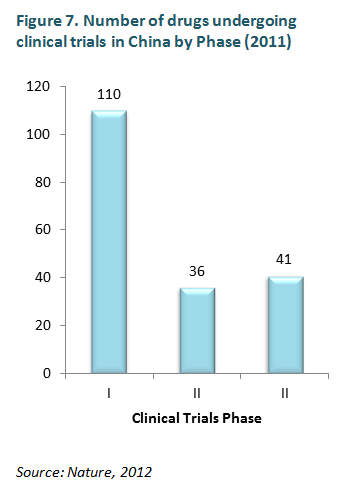 In contrast, R&D and clinical trial statistics in the US and EU have until recently reflected the major ailments of the developed world—that is, until the generification of blockbusters such as Lipitor, and until pharmerging economies have begun to divert therapeutic focus away from the common first-world conditions such as Central Nervous System and Cardiovascular disorders. In 2010, the therapeutic focus of Western pipelines lay for the most part in CNS, cardiovascular and respiratory targets—but by 2011 this focus has visibly shifted towards oncology and infectious disease. Effective R&D commercialization is an economic necessity for a country attempting to ramp up its research intensity. Government initiatives are likely to yield a promising number of research-intensive hubs across the country. On the agenda is the expansion of Economic and Technological Development Zones, whose purpose is to cluster hi-tech development, increase R&D export and attract foreign investment. Since 2006, the number of development zones increased from 14 to nearly 54 today. Some of the more visible bio-arenas already in operation are the east-coast city of Taizhou, which hosts China’s only national-level science park: Taizhou National Medicine Hi-Tech Industry Development Zone (China Medical City), established in 2009 and already nurturing a number of pharmaceutical companies. In 2011, Avenue Capital Group—a global asset management company, has signed an agreement with the Medical City for the establishment of China Medical City-Avenue Bio-Pharmaceutics Equity Investment Fund, with a projected size is RMB 2 billion (~ US$ 315 million). The aim of the fund will be to invest in bio-pharmaceutics, drug distribution, medical instruments and hospital construction in China Medical City. Upon completion, the park is expected to be home to around 500 companies and 50 university and other research institutions. Another prominent government-owned innovation hub is the Tianjin Research Centre of Basic Medical Sciences, established in 2005 and affiliated with Tianjin Medical University. The center has recently partnered with Huya Bioscience, an international leader in accelerating the global development of China's pharmaceutical innovations, in order to facilitate the commercialization of the latest developments emanating from Tianjin—already one of the most saturated bio-hubs in China. In order to facilitate partnerships with foreign companies, the government has participated in the establishment of China’s “Drug Valley” – a state-level biotech and pharma industrial zone in Zhangjiang, Shanghai, now hosting over 100 residents amongst whom are locally partnered AstraZeneca, Eli Lilly and GSK. Some of the initiatives to encourage global players to engage with local ones include technology transfer fairs, intermediary on-site agencies which specialize in facilitating dialogue between partners, and certain breaks in the customs bureaucracy for partnered foreign entrants. Perhaps one of the most famous government agencies in China is BGI—formerly the Beijing Genomics Institute—one of the leading genome sequencing facilities in the world. With a US$ 1.5 billion government backing, BGI was responsible for fully sequencing the genomes of rice, the SARS virus and the first Asian genome. BGI is currently partnered with the Asia Cancer Research Group (ACRG), which works with the likes of Lilly, Merck and Pfizer on the advancement of knowledge about prevailing cancers in the Asian populations. Technology Transfer is somewhat of a rudimentary term in China at the moment, as universities still lack the incentive to commercialize IP. China has not instated an equivalent of US’s Bayh-Dole Act, which allows universities to retain intellectual rights to emanating technologies. Despite this, commercialization offices are beginning to spring up across the country, following an injection of US$ 125 million by the Ministry of Finance in 2010. The Tsinghua University has been one of the most prominent commercializers in recent years. The Shenzhen Tsinghua International Technology Transfer Centre has already signed over 300 licensing contracts with businesses and individually developed 150 commercial projects emanating from academic research. Among other successful commercializing entities are Beijing’s Institute of Materia Medica, boasting intensive drug discovery and effective commercialization of over 100 chemical entities to date, the Daxing Biomedicine Industrial Base recently built by the Beijing municipal government, and the multitude of clusters in Beijing and Tianjin which became the focus of the latest 5-year guidelines. Check back next week for China's current prominent emerging R&D players!